Over time, landscape architects have pushed playground design forward as research has deemed certain aspects of play beneficial to childhood learning. 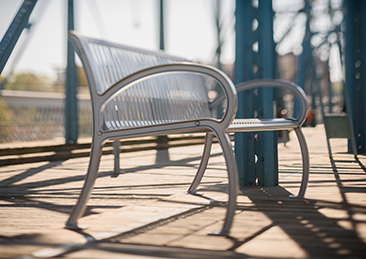 As public open spaces are diminishing in our rapidly growing cities, architects must make the most of available space to provide a foundation for learning in a safe environment. “As 89 percent of Australians now live in urban environments, outdoor play for most children will take place in spaces that have been designed,” said Mary Jeavons, director of Jeavons Landscape Architects. To improve the quality of life for inner-city children, traditional playgrounds often included hardwood pieces such as balance beams, swings and ladders. Traditional playgrounds were designed to serve neighborhood centers so that children from underprivileged families could experience the social standards of the upper-class in an effort to teach “social morality.” It was often a meeting place for mothers who supervised their child’s activities. To give children social experiences, traditional playgrounds after WWI included pre-developed play pieces such as steel climbers, swings, jungle gyms, sandboxes and fencing. Children were provided with materials to create their own play environments. Often viewed as unsafe, junk playgrounds emerged after WWI in vacant and abandoned lots. Children used spare construction materials to create, destroy and rebuild customised play spaces. Where traditional playgrounds only offer regulated play in supervised environments focused on social development, adventure playgrounds give children the ability to construct their play experiences. Adventure playgrounds emphasise the use of natural and recycled materials rather than manufactured pieces and have an informal layout. Construction play encourages a variety of physical and social development in children. 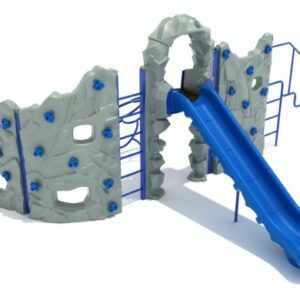 Imagination playgrounds use many of the ideas found in adventure playgrounds but are mostly made with a mixture of prefabricated materials that can be moved. Both permanent and movable play materials encourage children to use their imagination to create different spaces each time. By the 1970s, playground safety standards were becoming more stringent. Since that time, rules seem to be continuously tightening. 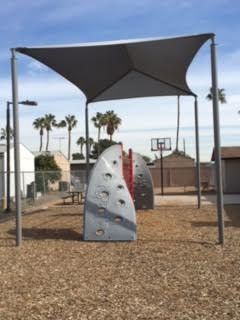 Uniquely designed elements were replaced by manufactured playground elements which met stringent safety regulations. This shift was due to increased demand for children with disabilities to be able to use public playgrounds and playscapes. Contemporary playgrounds typically include plastic and metal play structures such as swings, slides and climbing structures, all with impact-absorbing materials underneath. A movement back to adventure playgrounds has occurred due to growth in adults’ ability to trust that children know how to play and trust that they will play instinctively if provided with the right tools and environment. Though extremely popular, there are currently only five adventure playgrounds in Australia. Skinners Adventure Playground in South Melbourne plays an integral role within the local community, catering to disadvantaged children from nearby public housing developments. Innovative landscape design in Australia shows the endless possibilities within playspaces. For children and adults, they are places to meet friends, celebrate, educate and relax. New playscapes are often not isolated from the community, but rather integrated into a wider social network where people of all ages can mingle. The educational needs of children which come from playspaces needs to be considered by designers to figure out how play zones for children and adults can be included in public spacesbeyond formal playgrounds. Recent Australian examples of play design show the traditional playground being expanded to incorporate social and environmental functions while connecting with open space networks. Designers predict that playgrounds will move further from the ‘play zone’ to permeate the built environment. Jeavons says it is difficult for landscape architects to leave spaces undesigned, yet that practice allows a child’s mind to flourish. “This provides some major challenges for our profession: to overcome the temptation to over-design public space; to research and understand the importance of unstructured free play to children (even if this challenges our sense of control); to recognize and advocate for children as legitimate users of outdoor space; and to hold firm against over-sanitizing our parks, open spaces, school grounds and early childhood centres,” she said. Create naturally occurring shelter such as bushes or small enclosures for children to seek refuge or rest. Recent research shows that children need unstructured free play. Public play equipment is certainly an excellent educational tool, but there also must be elements that are undesigned and natural such as a tree they can climb, some leaves that can be collected, branches that can be used to make a fort or a big rock that can be their island of refuge. A mix of both designed and undesigned elements in a safe environment results in a safe haven for childhood education.